Whether it’s changing living locations or buying your first instrument, moving a piano is always a tricky process. Because the piano is a delicate instrument, there are some concerns with moving them. The biggest concern is whether a piano needs to be tuned after it’s been moved. So, does a piano need tuning after moving? Pianos need to be tuned after moving because of shifts in humidity. Anytime a piano is moved into storage, or another room, changes in the environment will affect the tune. Pianos that are shaken around during a move may also go out of tune due to shifting parts. 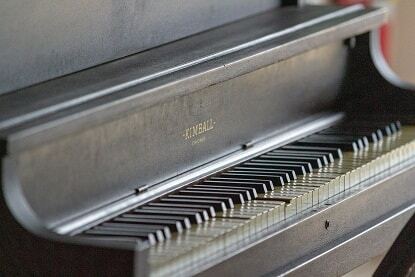 To really understand why pianos go out of tune and the best ways to acclimate it to its new location read on. Many times when a piano is moved from one location to another, it will suffer from extreme fluctuations in temperature. Unless the moving van is climate controlled, you can expect the piano to react adversely to that. Although piano moves are usually a quick process, it does not take very long for a piano to react to sudden changes in climate. Likewise, if the piano were moved from a cool room into a hot garage, for example, it would also suffer the same fate. The same happens in the reverse too if a piano were moved from a hot location into a cooler one. Pianos are instruments primarily built from wood. 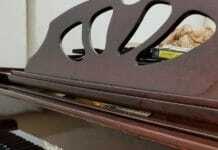 The piano casing is usually made from a high-quality hardwood. Common wood includes mahogany, hard rock maple, or another kind of spruce. The hammers are made from hardwood, and the ribs are made from pine. This is all important to know because each different type of wood inside a piano can react to humidity differently. When there is excess moisture in the air, the wood will absorb it. This causes the piano to actually swell. Generally, this is not noticeable with the eyes, however in some cases, the wood will crack from the expansion. Most people will notice the changes through what they hear. In this case, moisture in the air will cause the piano to completely go out of tune. Humidity also works in the reverse for pianos too. Too little moisture in the air can cause the wood to shrink. This can also produce cracking, shifting of the parts, loosening of the strings and tuning pins as well. All of those working in harmony will cause the instrument to go out of tune. Because the piano uses so many delicate and natural materials, it’s important to keep the instrument climate controlled. 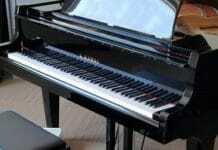 The piano does need a certain level of moisture in order to maintain it’s tuning stability and functionality. Most piano owners use a humidifier system to help regulate their instruments condition. Since the ideal humidity level for a piano is between 46% – 71%, these systems can constantly monitor and adjust accordingly. Many humidifier systems spray a light mist of moisture in the air to change the climate in the immediate area. Whenever a delicate instrument like the piano is moved from one location to another, it needs time to acclimate to its new climate. Tuning a piano right away would essentially be a waste of money. Because the instrument is still settling, the chances of it going back out of tune quickly are very high. As a piano settles into its new location, all of the parts have to adjust to the new humidity levels. The wood needs an opportunity to react to the moisture in the air as well. A piano needs at least 3 to 5 days to fully acclimate before tuning. After this time period, you can have the piano tuned. There’s a common misconception that pianos need two or even three weeks to adjust before tuning. 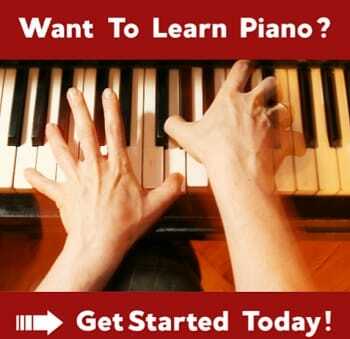 The reality, however, is that pianos can acclimate in as little as 72 hours. There is certainly no harm in giving the piano more time to adjust, however, these instruments are quick adjusters to changes in climate. On the flip side, it’s definitely a bad idea to tune a piano less than 24 hours after it has moved. The instrument will simply go out of tune again as parts continue to shift back in place and the wood reacts to the moisture in the air. This same acclimation process holds true no matter how many times you move a piano. 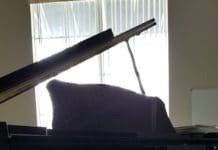 Because the environment is still new, especially for a brand new piano, it may need multiple tunings throughout the year. Most new pianos should be tuned at least 3 times in the first year until it settles in. At that point, the piano can be tuned once or twice per year. If you’ve never seen a piano moved before, then you might not understand just how rigorous of a process it can be. Pianos have to be partially broken down during the moving process. This involves removing the pedals and the legs. Each of those parts is wrapped along with the entire casing of the instrument. Pianos are then lifted by a team of movers and turned on their sides to be placed on a moving dolly. Depending on if the piano is located upstairs or not, taking the instrument to the moving truck can be a bumpy process. All of that movement can cause parts to shift around, loosen, and much more. Depending on how well the mover works with your instrument, that alone can knock the instrument out of tune. Things, like shaking the instrument too much and turning it at the wrong angle, can cause things to move out of place easily. Generally though, what causes the piano to lose its tune is the climate of the moving truck itself. Moving trucks are just like garages, known for being extremely humid and not climate controlled. If the piano is being transported a long distance, that’s plenty of time for it to go out of tune even if it is well wrapped. It doesn’t take very long for extreme shifts in temperature to affect the instrument. The move as a whole is not usually what causes the piano to go out of tune. It’s what happens after the move that can cause change. Even long distance moves don’t cause pianos to go out of tune. While pianos often go out of tune during and after moves, there are some ways to help keep the tuning stable. The first thing you should do is schedule the piano move early in the morning or late in the evening. Those are the time of day when temperatures are cooler, meaning the moving truck will be less humid. My other advice to you would be to use a mover who specializes in moving pianos specifically rather than a general mover. These movers can provide climate controlled vehicles which can help the instrument remain stable. It is also a good idea to install a humidifier device into the piano if possible. The device can still work as long as there is a power supply in the moving truck. This will allow the instrument to get the moisture it needs and help regulate the humidity levels. After the piano has been located to its new environment, the humidifier systems really come in handy there as well. This will lessen the acclimation period needed before tuning the instrument again. As a general rule, you should have the piano tuned anytime it changes locations unless it’s within the same home. Generally moves within the home won’t be a problem unless the new location has a vastly different climate (i.e. garage, den, patio).